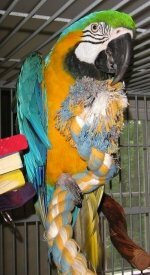 Parrot bird toys can provide your friend with hours of fun, entertainment, and even intellectual stimulation. Parrot bird toys come in all shapes, sizes, materials, and colors. However, all parrot toys are not made for every bird. It’s important to provide the right toys for your pet bird’s particular species. Some toys for larger birds can be harmful to smaller birds and some toys for smaller birds can be harmful to larger birds. It’s important to know what to look for. 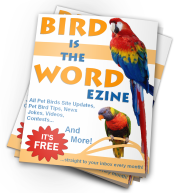 Pet birds need a variety of different parrot bird toys to ensure that their physical and mental needs are being met. Pick a few toys from each category to make sure your pet bird is happy, healthy, and well occupied. do you deal with only Amazon? everything listed is “only available” through amazon. I was at Amazon’s site and not impressed with the toys, most are NOT for large parrots.